Seven years in the making, the Continental Free Trade Area is almost established. A minimum of 22 states is needed to bring the trade bloc into force; only 21 African states have so far ratified the agreement. Nigeria, the continent's largest economy, is still considering whether to join the club. 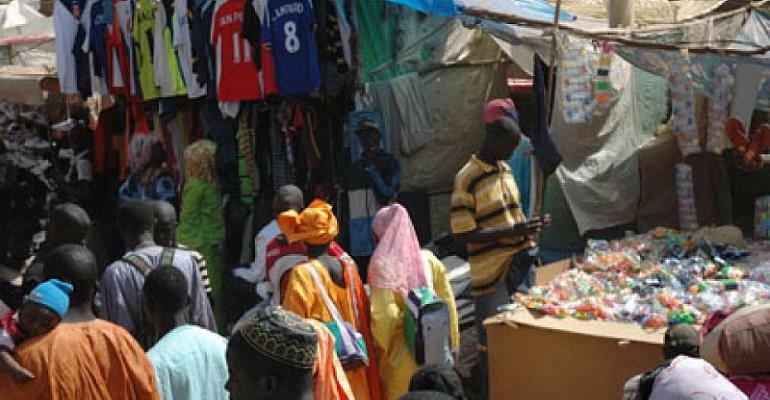 The idea of an African common market has been circulating for decades and it was adopted at an African Union heads of state conference in 2012. On 21 March 2018, 49 of the African Union's 55 member states signed the agreement. A minimum of 22 countries need to ratify the accord before Africa's single market can finally be launched. The Continental Free Trade Area (CFTA) will create an African common market worth $3 trillion where 1.2 billion people will be able to move freely. Rwanda's President Paul Kagame, one of the leaders spearheading the CFTA, once wrote that “in Africa, our biggest threats are also opportunities”. He was referring to Africa's booming youth population. “In less than a generation, it is projected that Africa will have the world's biggest workforce. That means 1.1 billion working-age Africans, which is more than China or India,” said Kagame at the Africa CEO Forum in Kigali. Trade among African countries is more costly than with Asia. According to Carlos Lopes, professor at the University of Cape Town, it costs more to transport goods from Mombasa in Kenya to Kigali in Rwanda than it costs to move the same goods from Mombasa to China. “It takes up to 700 hours to process documentation at some African borders. It costs about $2,500 a day to process documentation for import and export in some countries. This is unacceptable,” he explains. For Lopes the issues of trade facilitation and logistics can be addressed if the CFTA is properly implemented. However, he warns that it will involve a lot of negotiation to address “huge problems such as intellectual property or rules of origin. “We are going to have to deal with the mammoth task of having the tariff schedules all coordinated and synchronised in a time frame that is not going to penalise the momentum that has been created by these fast ratifications,” Lopes added. Governments are also concerned about the potential loss of revenue after trade tariffs would have been removed. Poor infrastructure on the continent is a major damper to trade and investment among African states. Africa's internal trade is the lowest of any continent and has long remained disproportionately dependent on foreign markets for its total import and export volume. But who will build the much needed infrastructure? According to Naguib Sawiris, executive chairman of the Egypt-based Orascom Investment Holding, it is “has to be done by governments or the World Bank or the new invaders like China. “In a new country like South Sudan, you don't have a single paved road. It cannot transport its agriculture or anything it manufactures. They have to import everything just because they have no roads,” he declares. Sawiris said that African infrastructure projects need first to be “massively” financed by the World Bank; then the private sector may consider stepping in with “equity and construction companies”. Investment in infrastructure projects offers returns in the long term, a reason why Sawiris says the private is cautious or “savvy” with its investments. But, for Abdulsamad Rabiu, chairman of BUA Group, the private sector can assist in that field and should partner with governments and Foreign Direct Investors. “If we are able to link east Africa to west Africa which is about 6 thousand kilometers, it will be quite interesting and help our businesses. Think about the Highway 8 linking Lagos to Mombasa,” he says. But Nigeria, Africa's largest economy, still hasn't signed on. President Buhari said Nigeria was careful about signing the CFTA to avoid hurting its young industries. Abdulsamad Rabiu – whose BUA Group is headquartered in Lagos – says that his country is wary of the risk of dumping on its market after trade barriers have been removed. If he firmly believes that the CFTA is the path towards Africa's prosperity, he also believes that it involves some degree of effort on the part of the stakeholders. “We don't plan to put a mechanism in place and just expect it to work. It needs an effort,” says Kagame. “Nobody is saying the CFTA is not the right way to go. Nobody is saying that this is not going to give us benefits. “Actually it is the only way to go if you want to maximise the opportunities for the development of our continent. So, we have to make it work and we know how to make it work. “But we are also aware of the challenges that have to be dealt with.